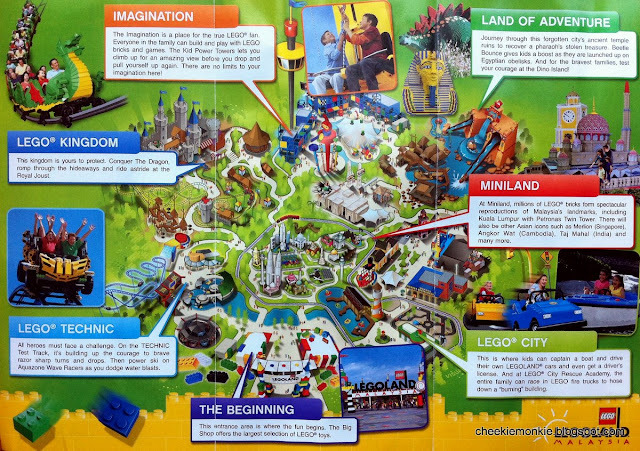 Legoland Malaysia - can't wait! A few days ago, I was privileged to be invited to a media luncheon hosted by Legoland Malaysia and Thistle Hotel JB. Both parties announced a possible collaboration, as well as took the opportunity to unveil a Legoland Malaysia Dragon mascot called 'Ollie the Dragon'. Ollie was constructed entirely out of approximately 10,000 Lego bricks, and what better way to welcome the Chinese New Year with a Lego Dragon! Mr. Siegfried Boerst, General Manager of Legoland Malaysia, was on hand to field questions from the media regarding the ongoing construction of the theme park. As of December 2011, the park is 40% completed and scheduled to open in the last quarter of 2012. Ooh, the anticipation factor just went up a notch! And the anticipation factor multiplied considerably after having a sneak peek at the Legoland Malaysia construction site. 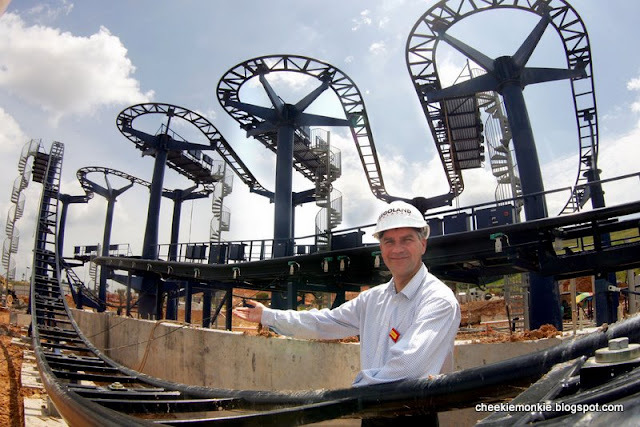 Here's a look at the upcoming Lego TECHNIC Test Track ride! The park is divided up into seven themed areas. Each theme area is designed to ensure that visitors of all ages will find much to explore and enjoy themselves silly at the LEGO® experiment centres. It is 76 acres of fun and adventure - packed with more than 40 rides, shows and attractions. Nearly all of the rides are hands-on, so you can push, pull, pedal, program, steer, squirt, splash, crawl, climb and yes – build your way through a full day of non-stop fun. Click on the park map below to find out more! And right now, if you purchase an annual pass to LEGOLAND® Malaysia, you'll enjoy unlimited entry on all regular opening days up to 3 months in year 2012 and the entire year 2013! What's more, it's on sale at a promotional price! *Ticket prices exclude a RM3 ticket fee. Considering the fact that a One-Day ticket costs RM140 for an Adult and RM110 for a Child, I say it's a really good deal! Click here: http://www.legoland.com.my/News/Annual-Pass/ for more information and FAQs, and buy your tickets online at http://www.airasiaredtix.com/Events/Legoland/.